Happy New Year friends! I took quite the break last month just creating for fun, and it was such a treat to not worry about writing patterns. But the new year is upon us, and it’s time to get back this blogging thing. I’m excited to share the pattern for my Pebble Beach Beanie, and I even worked out 3 different sizes! When do you get your best inspiration? I always get my best ideas in that moment just before I fall asleep. Unfortunately, that means my best ideas are probably lost in the ether because I don’t get a chance to write it down! I really started working on participating on Instagram in the last few months, and as I saw all these wonderful hats, I realized that they were being worked bottom-up instead of top-down. I know it sounds stupid, but that was a bit of an epiphany for me, especially because I always felt like designs on a hat worked top-down were upside down! 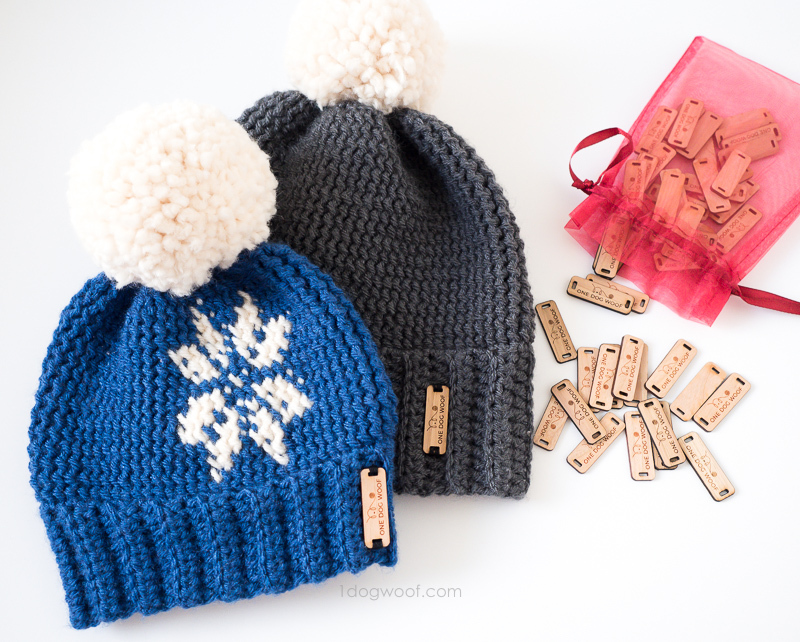 For these hats, I used Lion Brand Vanna’s Choice yarn, my favorite for a basic worsted weight yarn. It’s soft, warm, and comes in so many amazing colors – it works for so many projects – and there’s almost always a sale at Michaels! Then I used Lion Brand Wool Ease Thick and Quick for the pom pom just because I wanted something completely huge and fluffy. My husband commented that it looked too much like a cotton ball for his tastes, and he prefers the more sporty look of a pom pom made with thinner yarn. No matter what yarn I use, I always fall back to my Clover Pom Pom Makers*. I even got the extra large one* for Christmas! I’ve gotten lots of questions about those adorable tags. You can get tags custom made at All This Wood on Etsy! This ☀️🌻✨ beanie ended up being a bit bigger and slouchier than I intended, but I think I like it! I don’t have a pattern for it yet, as there’s a few issues I need to figure out – like why is this hat so darn big?! 🤔😲 I’ll be re-making it in charcoal for my husband using a different yarn too, since he’s not really into this ombre thing. As for names, I’m thinking Pebble Beach Beanie, what do you think? Any other suggestions? Insert your hook under both the front and back loops of the stitch. Without yarning over, insert your hook from back to front, under both the back and front loops, of the next stitch. 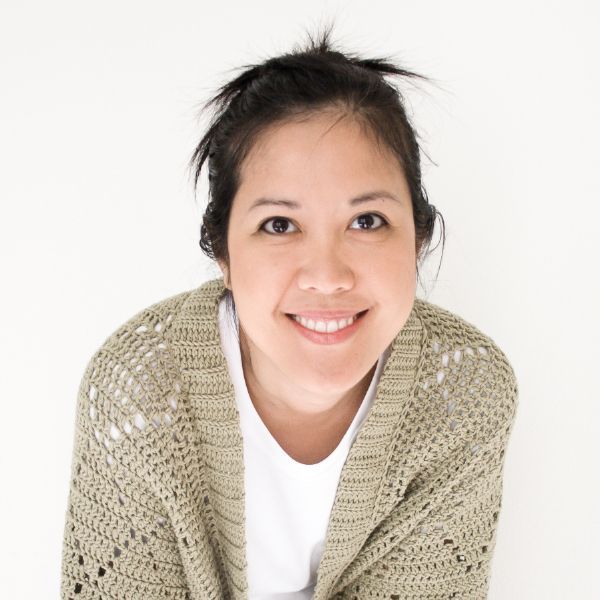 Yarn over, pull up a loop, and complete your single crochet. That’s it! The look of the finished product reminds me of a field of pebbles, hence the Pebble Stitch Beanie! I noticed that when I work this stitch, it curls a bit, like the bottom of a knit piece, but it flattens out over time. Who knows, I may use that to my advantage in the future! 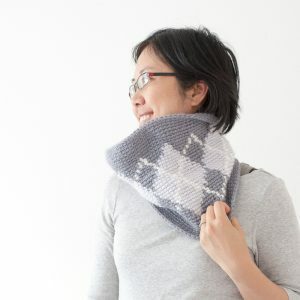 And the back side of the stitch is interesting too – it looks even more like knitting. There’s so much potential to play around with different textures! 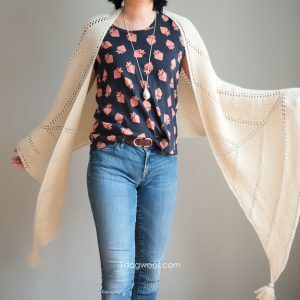 The bottom ribbing starts with a row of foundation half double crochet stitches (video below) and is made using half double crochet stitches worked into the back loop. I tried a few different methods, which I showed on Instagram, and decided this was my favorite crochet ribbing, as it gave texture and was able to stretch well. I think my *favorite* ribbing is still a classic knit ribbing. 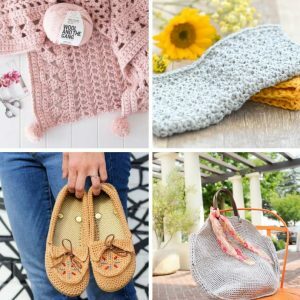 Another future idea – mix knitting and crochet, what do you think? At the top, I reverted back to a normal single crochet stitch so I could decrease the rounds. I found that using this post single crochet, I couldn’t work either a decreasing or an increasing stitch. So the post single crochet is only worked when the hat is in a full cylinder mode. When I needed to decrease, I ended up just skipping a post single crochet stitch. One round of such decreasing seemed to blend in fine, but multiple rounds made it too noticeable, which is why I switched to normal single crochet for the other decreasing rounds. If you intend on putting a fluffy pom pom on top, this shouldn’t be a problem at all. 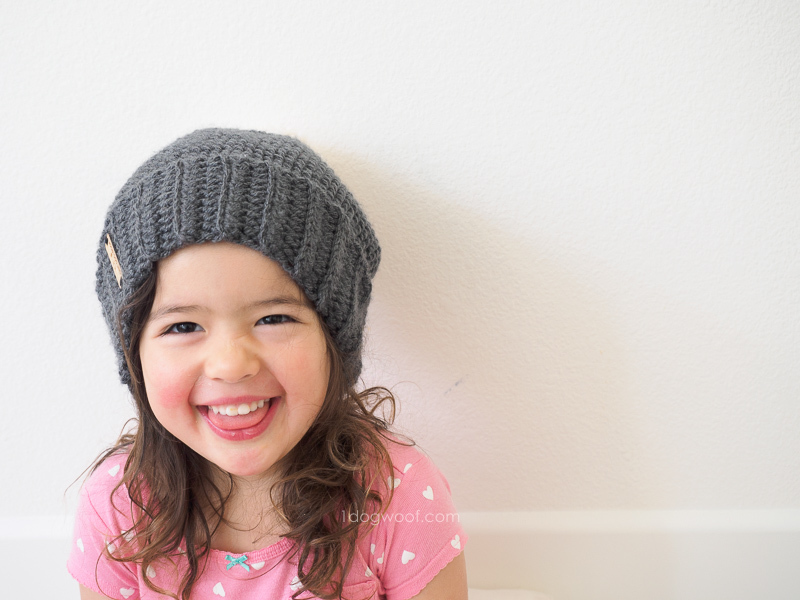 Below is the pattern for the adult beanie. The child and infant sizes are included in my printable PDF, which you can purchase through my Etsy shop. 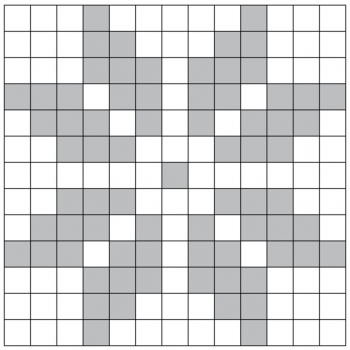 The PDF also includes the graph for the snowflake motif, shown below. 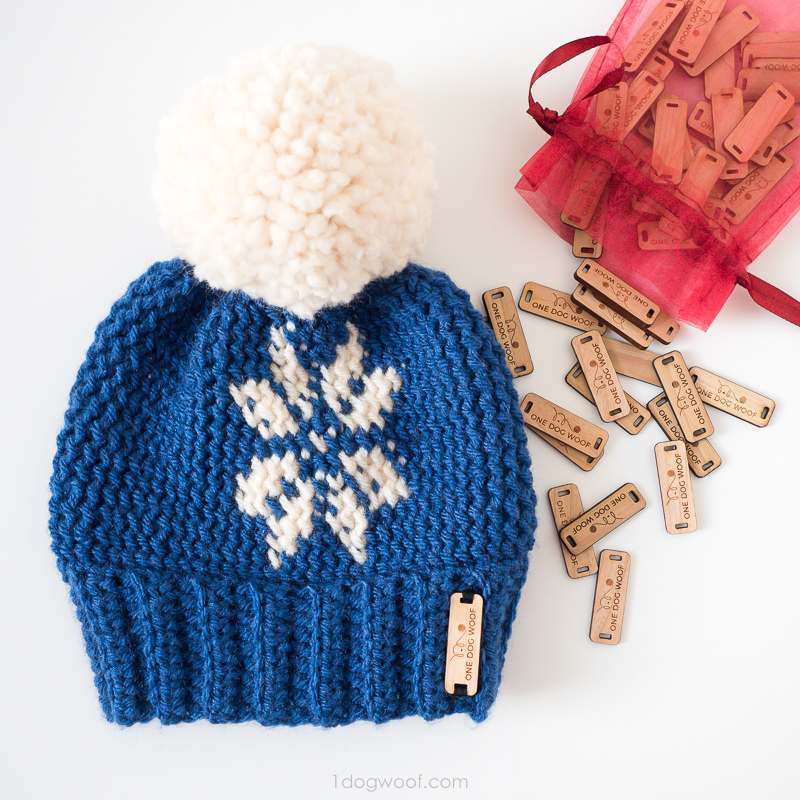 The motif can be worked anywhere on the hat, and the stitch counts are variable depending on the size you’re making, so the PDF only includes the graph and not written instructions for incorporating the snowflake. Purchase the PDF for the Pebble Beach Beanie! fpsc – front post single crochet: Insert your hook under both the front and back loops of the stitch. Without yarning over, insert your hook from back to front, under both the back and front loops, of the next stitch. Yarn over, pull up a loop, and complete your single crochet. Instructions are for Adult [Child, Infant] sizing. Ribbing is worked flat and seamed. 4 in = 9 rows. Rounds are worked seamlessly in a spiral. Body gauge: 4 in = 17 st, 15 rows. Circumference: ~22 [18, 15] inches. The fpsc tends to work tighter than a normal sc, so adjust hook size or tension as necessary. Body rounds can be added or removed for custom sizing. Start with size H hook. Flip ribbing inside out. Ch 1. Switch to size J hook or larger to achieve gauge. Round 21: Work [sc2tog] 30x. Round 22: Work [sc2tog] 15x. Cut yarn, leaving a 9 inch tail. Pull through last st. Weave tail through front loops around. Pull tight and secure. Weave in ends. I recently purchased a new camera, an Olympus OMD EM5 Mark II, and have been playing with it on and off. I’m still getting used to the differences between this and my last camera, so my photos may look a bit funny until I get the hang of things. My kids were willing to pose but not quite patient enough to wait for me to figure out all the new dials. I hope you enjoy making this Pebble Beach Beanie and customize it in your own way! Share your finished beanies with me on Facebook (One Dog Woof) or Instagram (@1dogwoof)! 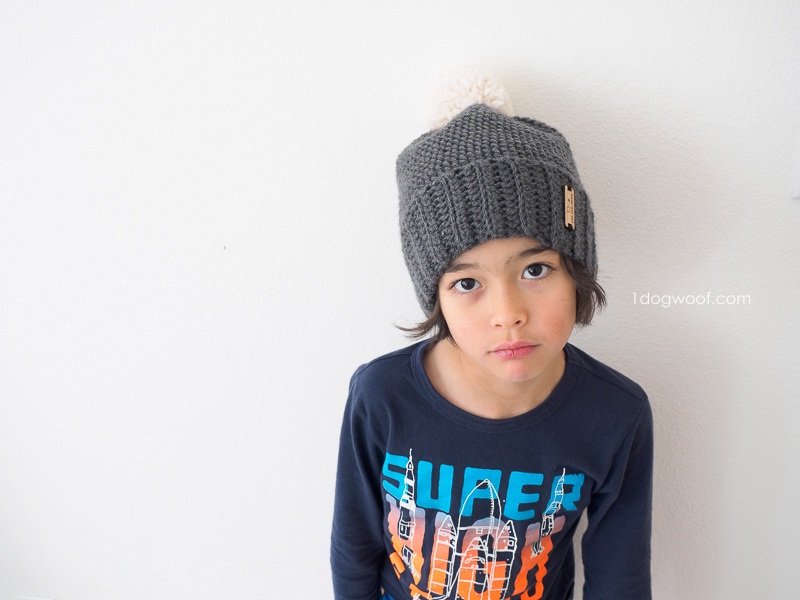 Remember to tag your post with #1dogwoof and #pebblebeachbeanie! So cute and the name is perfect! You are so talented! 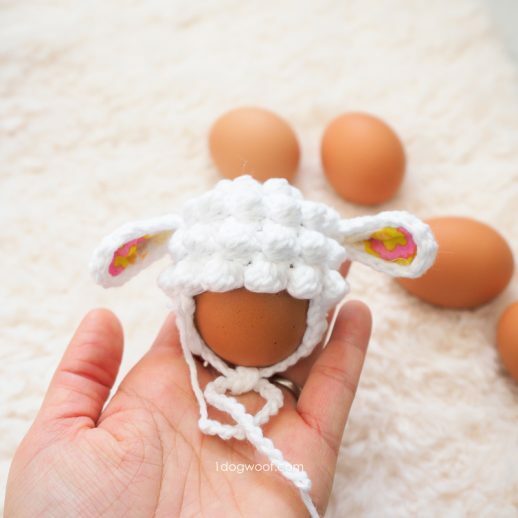 Thank you for sharing this adorable pattern! How do you adjust size for a child? I’m trying to make this but having issues with carrying/changing colors with post stitches. Could you maybe make a video for this 😊?? Love your patterns! Thanks!! so you put your hook in one stitch then in the next before yarn over so when you do the next complete stitch do you start in the second stitch of the previous two you used? And doesn’t think using two stitches decrease the whole count by half… I know, I need to try it to find out and I’m sure I phrased the question in a confusing way but didn’t know how else to put it. 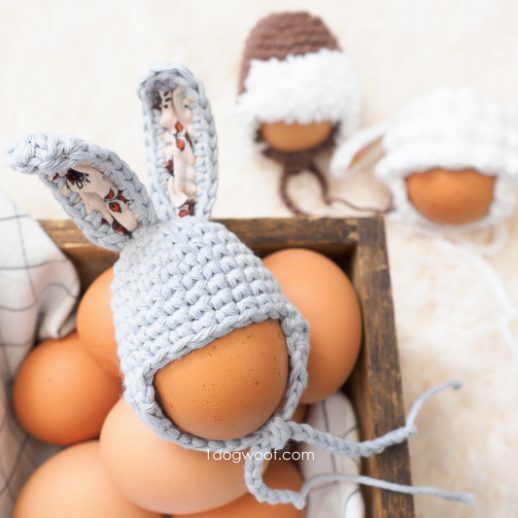 Really cute hats! I love the metal tags too. Where did you get the tags? Love your tags too! Where did you find them? Love the hat and the tags. Where can I get the tags? Cute hat, but when I try doing as instructed my “Pebble ” stitch looks like a front post single crochet, not like yours. Would you please do a video? Your hats are adorable and I too love your tags. Can you share where you got those? I love this stitch, and the hats are adorable! Also, where did you get your cute little tags from? Sorry, I see you already mentioned the tags in your post. Thanks! Thank you for explaining fhdc so well as I have never caught on and I have tried many times. I’m having no trouble with page loading.